Bieffe Helmets Green, Red, Black, & White, Oval Stickers. 2" Pair. A pair of oval shaped, Bieffe stickers. Green, Red, Black, & White in colour. 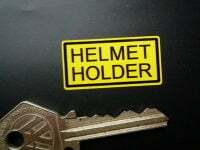 Each sticker measures approximately 50mm x 32mm. MPA Italy Helmet Black & Silver Cut Out Sticker. 3". 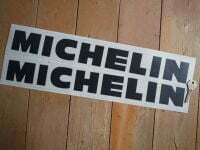 Michelin Cut Vinyl Traditional Horizontal Text Stickers. 5", 8", 10" or 12" Pair. Bieffe Helmets Green, Red, Black, & White, Oval Sticker. 3". Mini Moon Eyes Classic Helmet Stickers. 1.75" Pair. Kawasaki Winged Helmet Sticker. 3.5". 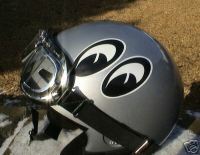 Reflective Moon Eyes Classic Helmet Stickers. 2.5" or 3.5" Pair. 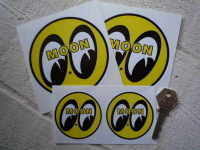 Moon Circular Yellow, Black & White Stickers. 2.5" or 4" Pair.